Stay with Me. Blood is thicker than water. True. But it's not our DNA that tells us that we should stand beside them through their worst days. It's our loyalty to our family that makes us do that. It's our choice that makes us stay and support them. You can leave and turn your back on them if you want. 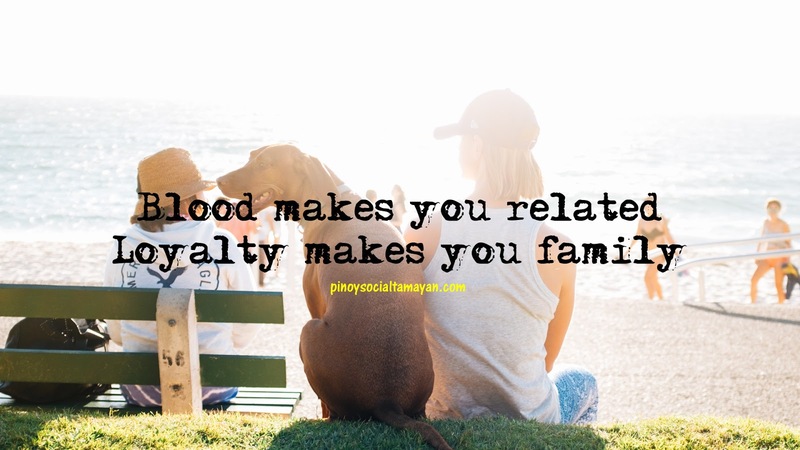 Your blood relation doesn't obligate you to anything. You can do as you please. Leave them be and enjoy life alone, or stay with them and suffer together. They say that dogs love us humans more than they love themselves. That is why dogs are loyal and are treated as family by most people. They stay even after you're gone. So let us be like them in that line of thought..Let's love our family and stay by their side in our lifetime. Sunrise. You can't learn love in a day. 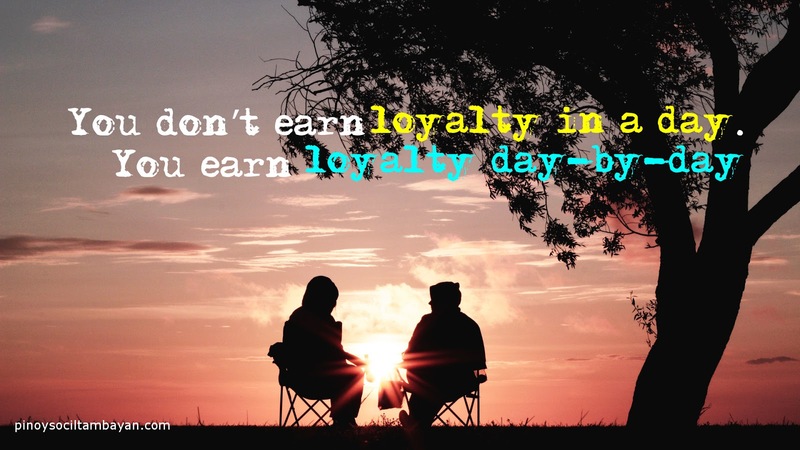 You can't earn trust in one day.You can never even earn respect in a single day. These things just proves that in order for you to have something, you have to work hard for it. Pave the way to it. Make it a two-way lane since it should go back and forth. Everything should be like that. Work hard and always return the favor given. Love and be loved. Trust and be trusted. Respect and be respected. 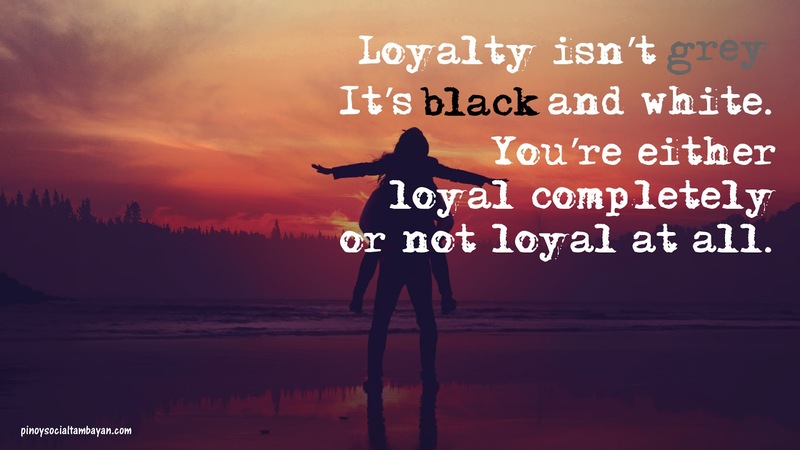 That, my friend, is the way for you to find loyal people. You teach them to believe in you. And once they do, don't ever break that belief. Loyalty can't be earned in a day but it can be gone in one day. So try harder everyday to keep it as it is. For more Loyalty Quotes, feel free to visit and follow our Official Facebook Page https://www.facebook.com/phquotestagalog/ and our Official Twitter Account @PinoyQuotes365 . For more Pinoy Quotes, Love Quotes, Jokes, and Hugot Lines visit us again here at https://www.pinoysocialtambayan.com/ and at our Facebook Page and Twitter Account.